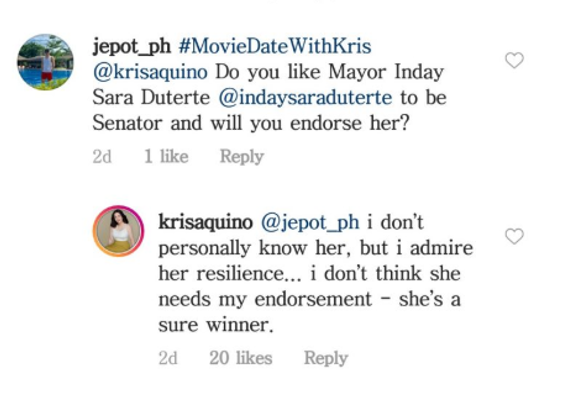 Home / Entertainment / Kris Aquino blatantly admits Inday Sara’s credibility as 2019 Senator: "She's a sure winner." 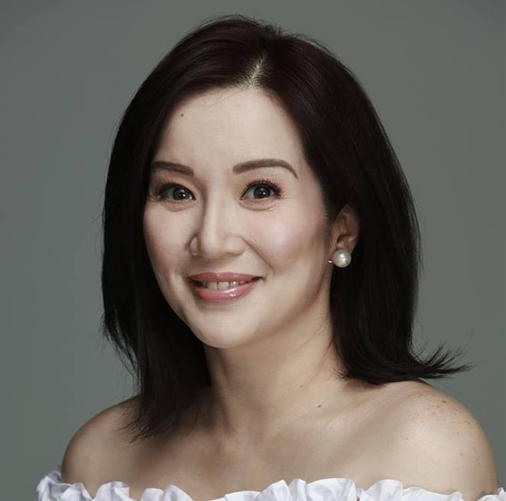 Kris Aquino blatantly admits Inday Sara’s credibility as 2019 Senator: "She's a sure winner." 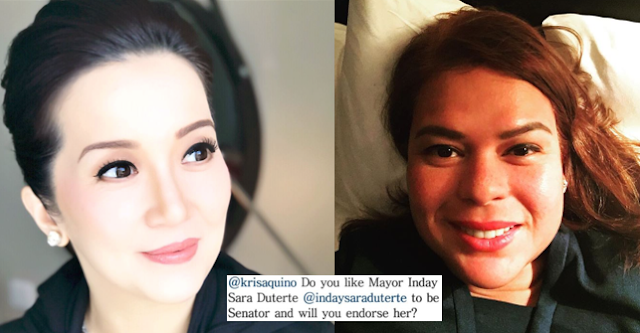 Despite not being close to the daughter of the President, “Inday” Sara Duterte-Carpio, actress Kris Aquino blatantly admits that she will be a “sure win” in the upcoming 2019 Senatorial Elections. She admitted this through a comment on Instagram after a netizen under the username jepot_ph asked the actress if she sees Inday Sara as a possible Senator and endorses the president’s daughter. 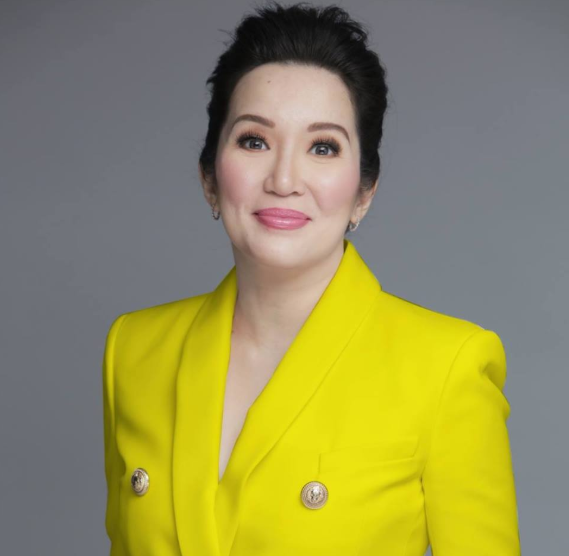 And to everyone’s surprise, the sister of the former Opposition Chairman and former President Benigno Simeon “Noynoy” Aquino III admitted she would win and that she doesn’t even need her endorsement to do so. What a turn of events! 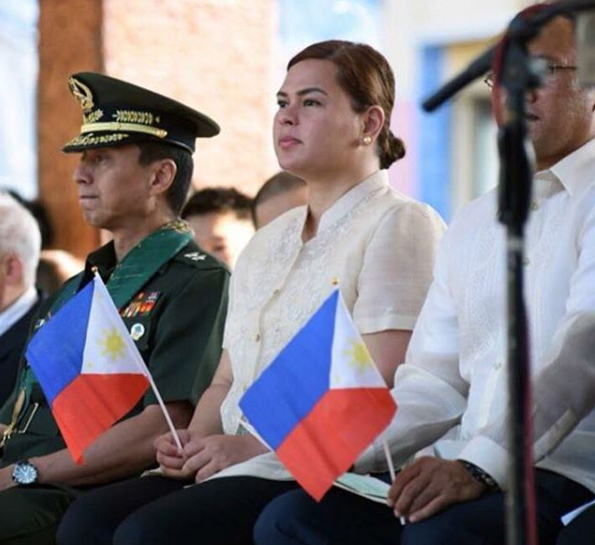 Who’d think that such a vital character in the midst of the Liberal Party supports the daughter of the Chief Executive that they oppose?